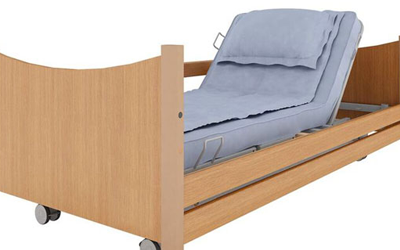 We supply a range of beds designed to help elderly and disabled people stay comfortable when spending prolonged periods in bed. An overbed table makes it easier to eat, drink and read comfortably and safely whilst in bed. 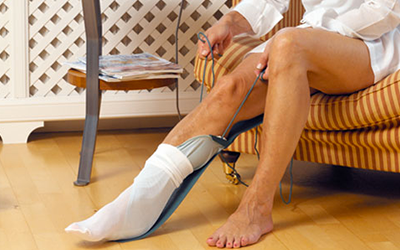 Designed to help you easily put on socks or stockings these aids are useful for people with back, hip or knee problems or those with impaired mobility. 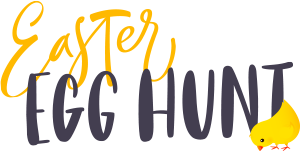 In the bedroom section of the Manage At Home website you will find electric profiling beds, which have choice of mattresses. Bed accessories such as over bed tables, bed rails, and a range of cushions and pillows to provide extra support. Memory foam and self inflating cushions are very popular. 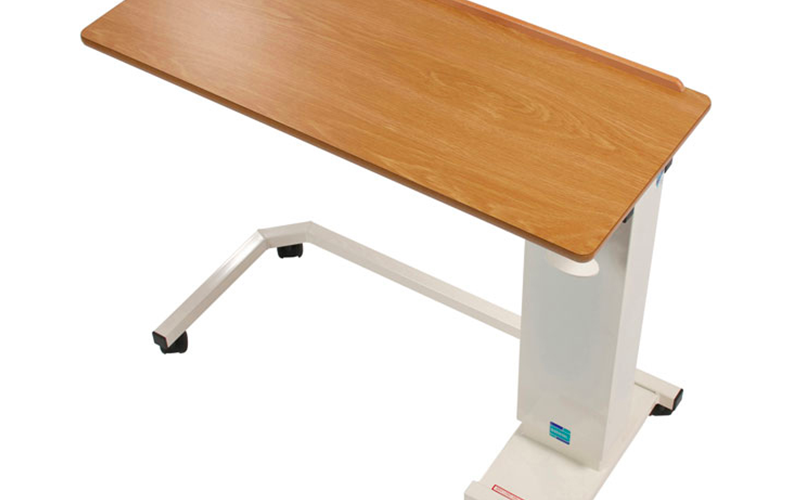 Access into and out of bed can be improved by using bed raisers or risers to adjust the height of the bed, and grab handles and transfer boards to assist in transferring into and out of bed. Bedroom commodes can make a visit to the bathroom unnecessary. Dressing aids such as reachers, buttoners and sock and stocking aids that can help those with limited mobility or dexterity when dressing are also in this section.